NAB has announced it will invest $1.5 billion over the next three years into an ongoing digital transformation. The investment is said to provide multiple 'ecosystems' within the company with further technological enhancements, including marketing systems which will become far more personalised. 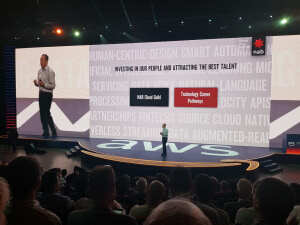 In his keynote speech at the recent Amazon Web Service Summit, NAB CTO/COO Patrick Wright indicated that the current digital landscape was “too complicated” and that the company had “a lot of work to do”. “We are trying to think about how we can build a strategy that will create a company for the future,” he says. Wright says that when it comes to direct marketing, the impending NAB digital overhaul would provide the bank with a more succinct and intelligent means of distilling data into targeted campaigns. “The question is could we use more data in a non-traditional ecosystem and use machine learning to get far more precise,” he says. “Because even in direct marketing, most of those three to five percent take up rates, approximately, are considered a good day and I’d love to get to a place where a 70% - 80% take up rate is a good day. Admitting the company is currently not in a position to promise that now, he says the $1.5 billion investment into cloud data storage and management will allow the brand to get closer to that goal. “Now in today’s world we cannot simply ingest and process enough data in enough time to get that. In tomorrow’s world, we must. 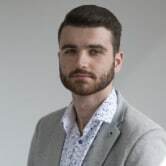 As a result, the company will also focus heavily on data to create a more efficient and direct marketing ecosystem within the company, built around personalisation. Wright said NAB will be building its new 'data lake' with the AWS cloud-based data offering. The cloud storage will remove the need for data warehouses and instead provide a reliable service for its analysts and data scientists. “We are going to embrace data because data is the digital currency of our future. It is just outstanding what is happening in the world of data at the moment. We are only just beginning to tap it as an industry,” he says.